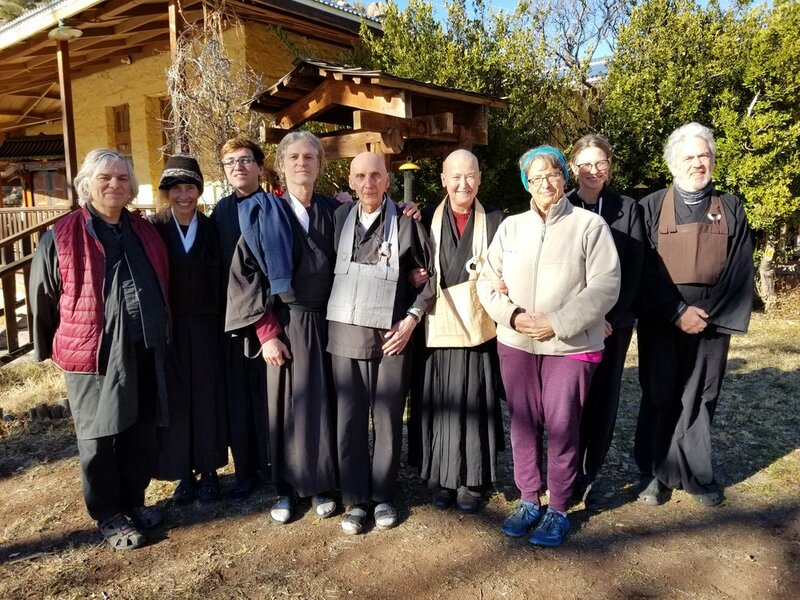 On February 9th the Bodhi Manda Zen Center will be hosting a week-long Sesshin in the context of our February Zen Winterim training period. Danan Henry Roshi an American Roshi in the Harada-Yasutani lineage, will be joining Jiun Hosen Osho in guiding the Sesshin. He will be joining us for Zazen meditation and providing the daily Teisho. You are invited to join us for this shared period of intensive Zen practice. The Sesshin will begin on Saturday February 9th at 3:00pm and end on the 16th at 5:00pm. The participation fee is $450 per person, which along with the meditation retreat itself also includes lodging in one of our dorm style rooms and 3 vegetarian meals a day. If you are interested in participating or have any questions, please contact the Bodhi at office@bmzc.org or (575) 829-3854.